Jort Heijen only knew how to design and construct guitars by hand. That all changed once he started to learn AutoCAD at a university in Amsterdam. 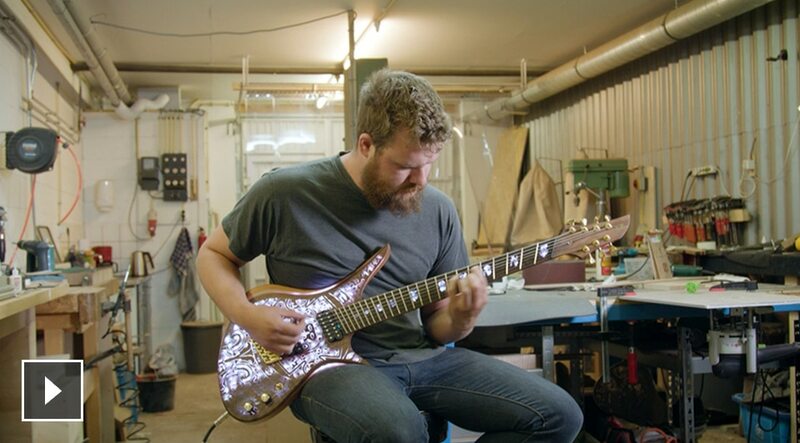 Now Jort has turned his hobby into a full-fleged guitar design business called Red Layer Guitars. And even the name of his company was inspired by AutoCAD. As a teenager, Jort Heijen first started building guitars with his dad in their garage. At first they stripped old guitars and replaced parts on them, buying and selling along the way. But they became curious about building the guitar body itself. From then on, Heijen was constantly building and making guitars, all by hand. Working in bicycle repair and sales at a store in the Netherlands, Heijen realized it wasn’t exactly what he wanted to do for the rest of his life. Building guitars was his passion. So, at the age of 24, he quit his job, sold his car, and moved to Amsterdam where he enrolled in Hout- en Meubileringscollege, a four-year vocational school devoted to woodworking and furniture building. Jort Heijen holding a LED guitar he designed in AutoCAD. Courtesy of Red Layer Guitars. While in school, Heijen began learning AutoCAD, especially after he purchased his first CNC machine to cut out the wood for his guitar designs. After working by hand for many years, AutoCAD brought entirely new possibilities. 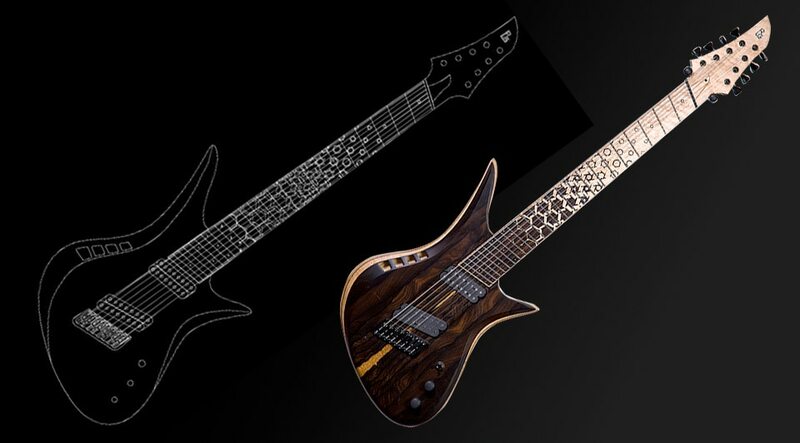 “Once I start working on a guitar design in AutoCAD, I just can’t stop until it’s finished,” Heijen says. “It’s very addictive and like a puzzle that I want to solve. Its precision is key. The CNC machine can have incredibly small routers and I can make sure all the angles work in the software. Meet Jort Heijen of Red Layer Guitars and take a look inside his workshop. After graduating from college, Heijen spent last year as a teacher’s assistant and is now a full-time technical instructor at the school. He is passionate about helping students discover how much they can do if they learn AutoCAD. “When my students come to me with ideas for a new project and they struggle with mathematical issues, calculating angles, and visualizing distances, scale, and ratios, I always direct them to AutoCAD,” Heijen says. “I show them how easy it is to draw it in 2D and how it can be used to get a better picture. Courtesy of Red Layer Guitars. With hundreds, if not thousands of designs under his belt, Heijen is hard at work building his burgeoning business, Red Layer Guitars. He recently finished his first retail model that is now on sale. But he has an even bigger goal in mind—designing an entirely new, high-end, lightweight guitar. 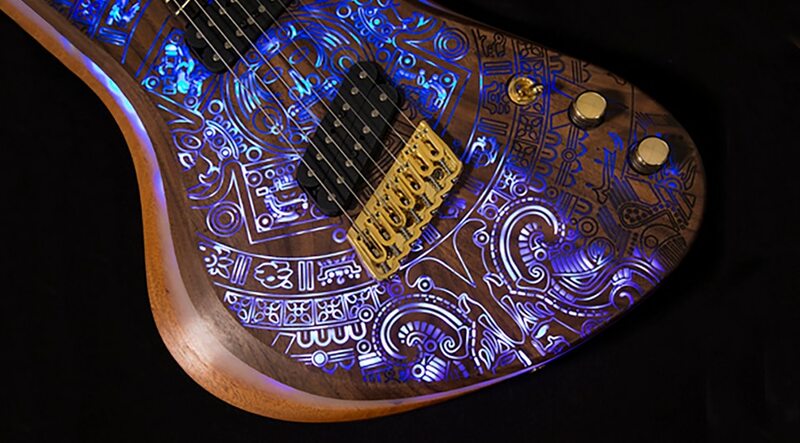 For it, he plans to use ziricote wood and a unique and intricate fret board of inlaid wood reminiscent of an M.C. Escher design. In fact his early design of the fretboard has caused quite a bit of social media attention, especially on Facebook. Guitar design in AutoCAD, including M.C. Escher-inspired fret board. Courtesy of Red Layer Guitars. 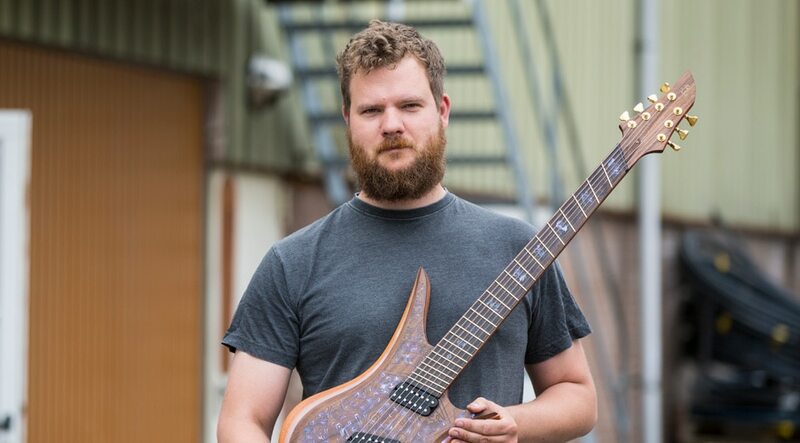 In a 90 square meter workshop he shares with another guitar designer, Heijen has all the tools he needs in one place from the CNC machine to a spray booth cabin. And, of course, it includes AutoCAD. In fact, the influence of AutoCAD on Heijen’s new career doesn’t stop there. The name of his business was even inspired by the software. Speed up and streamline your workflow with a subscription to AutoCAD including specialized toolsets.